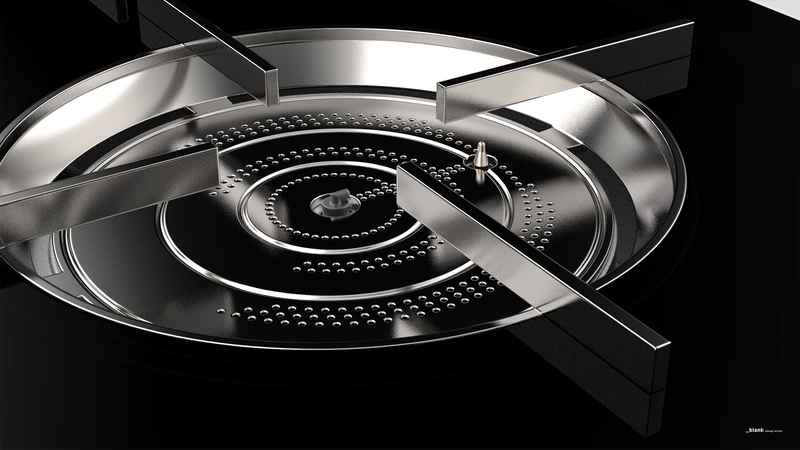 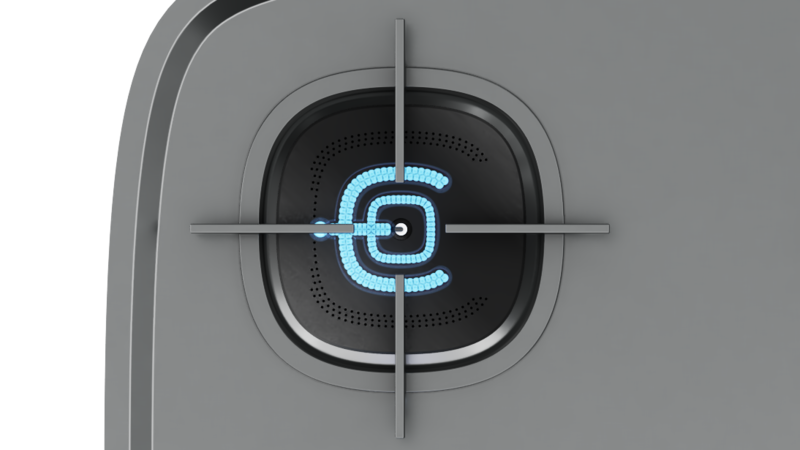 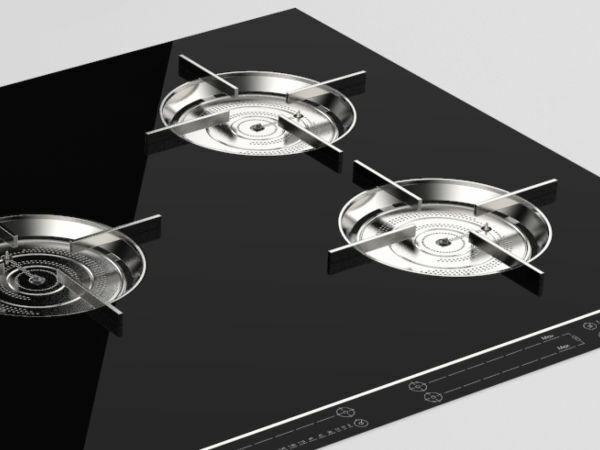 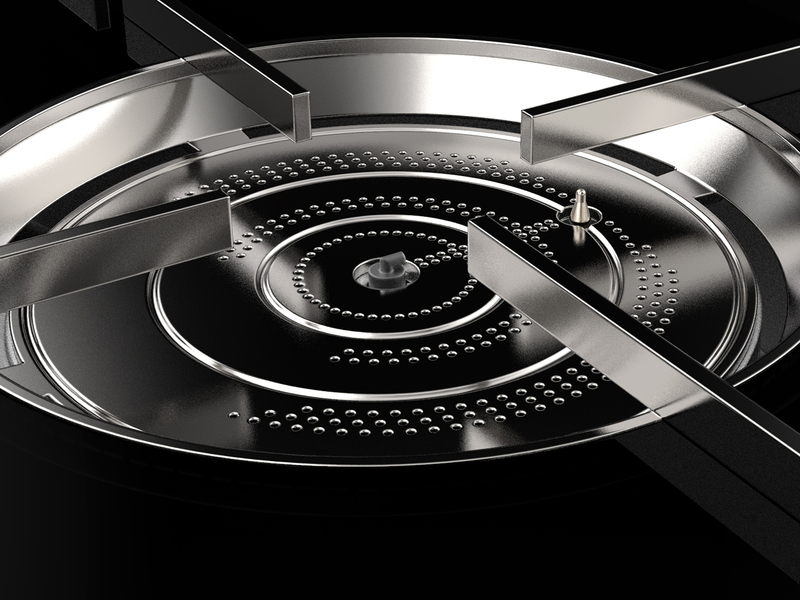 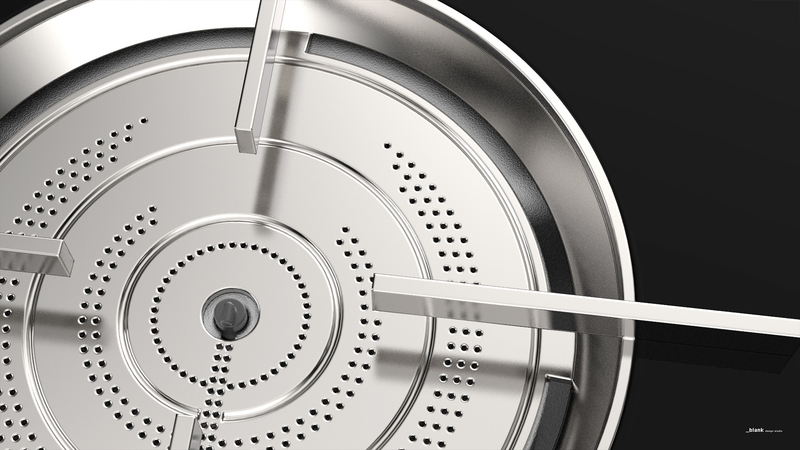 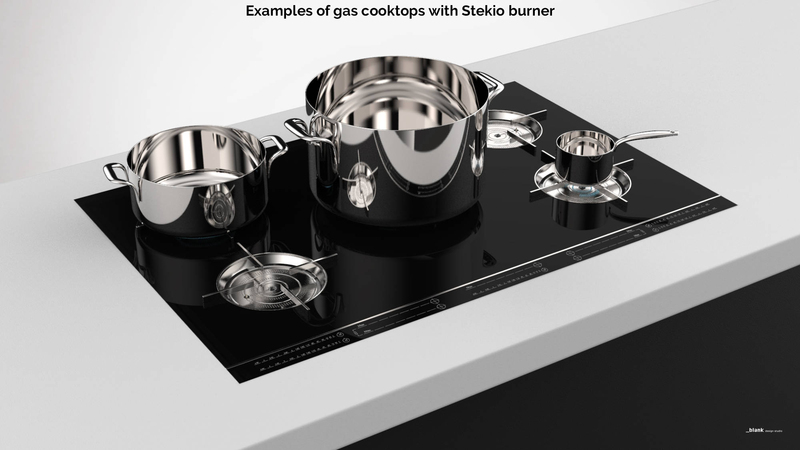 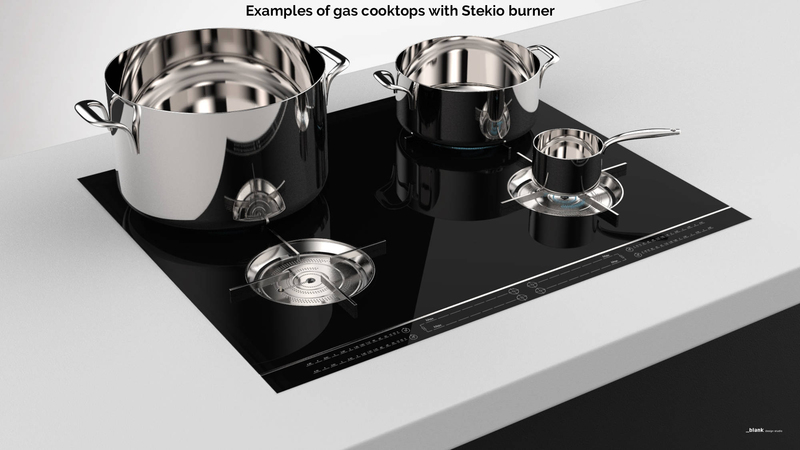 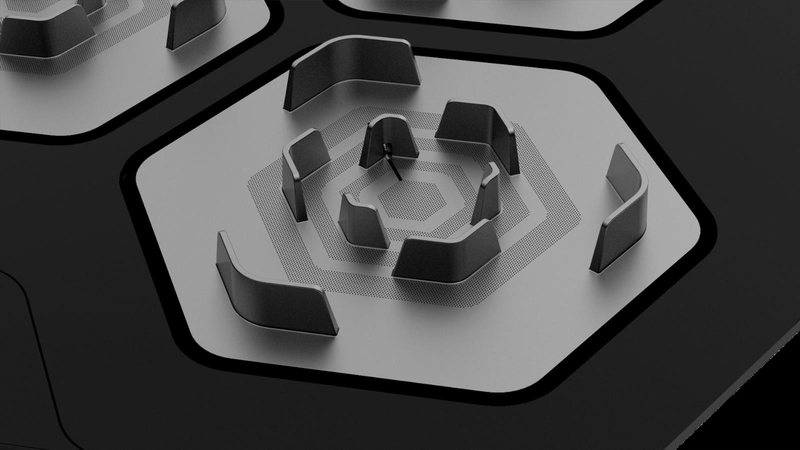 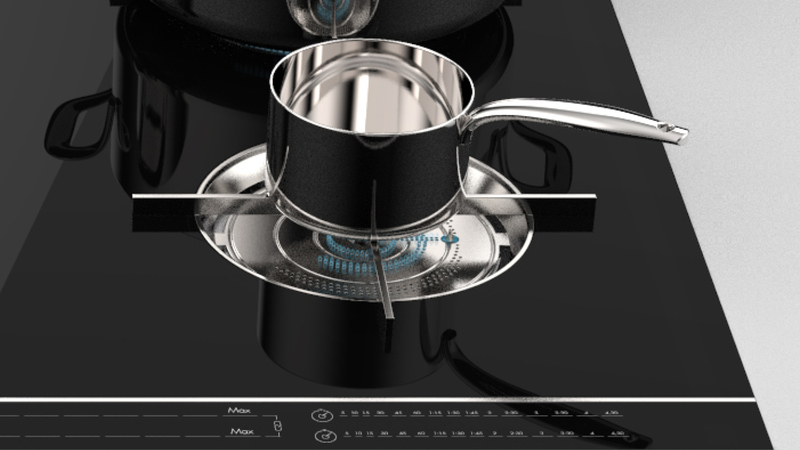 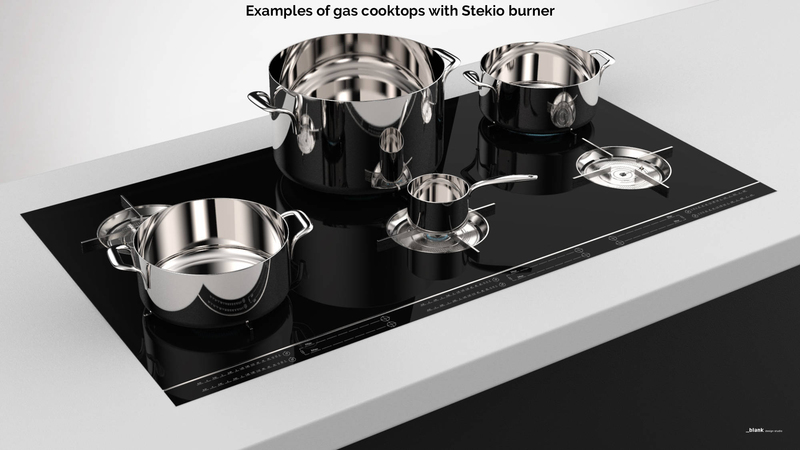 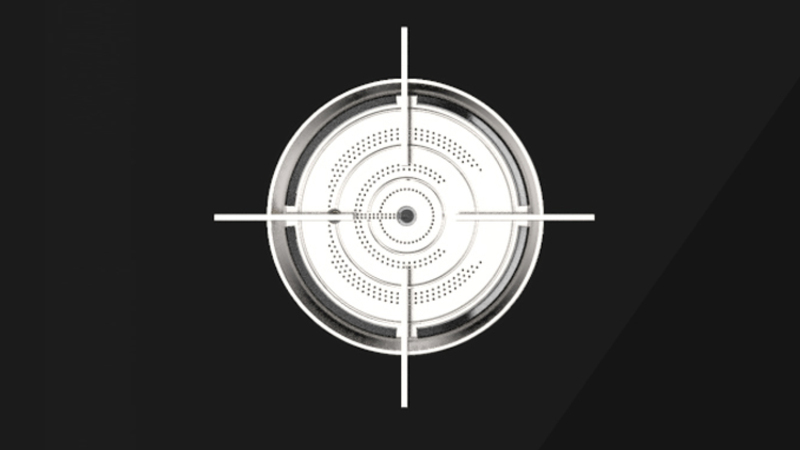 A revolutionary combustion technology - 8 registered patents - based on stoichiometric mixing at room pressure: Stekio creates a continuous surface of fire, that optimizes efficiency perfomances and cooking times. 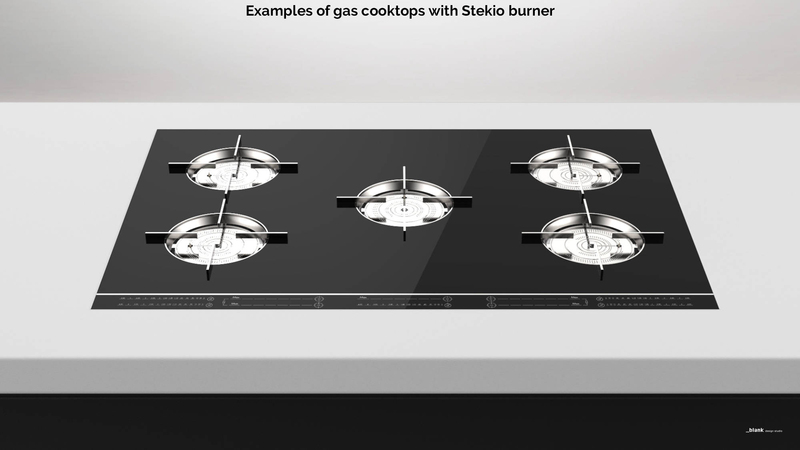 In a new dimension of luxury, Stekio is the first atmospheric burner with premix technology, from auxiliary to super fast, on the same stove. 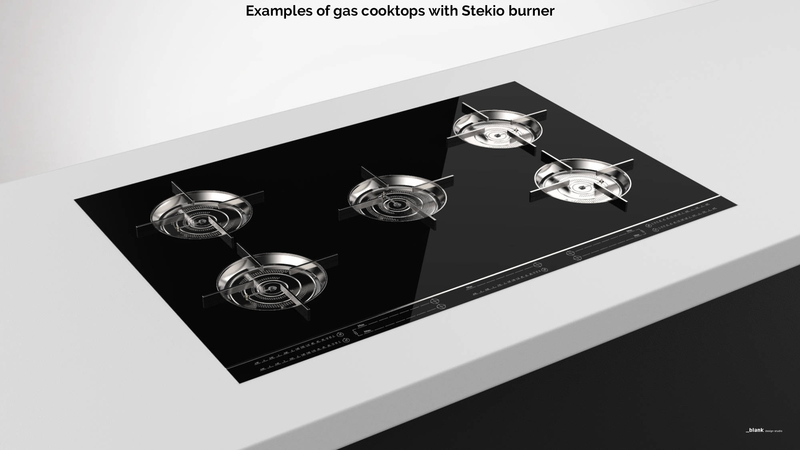 With the height of the grids reduced by 50% compared to the standard ones, Stekio revolutionizes the aesthetic concept of gas cooktops. 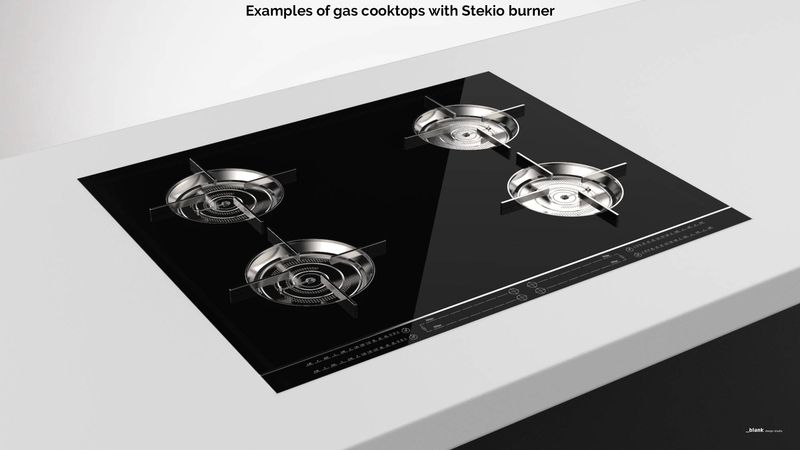 It is the ideal choice for any kitchen environment that seeks the utmost attention to design in the top of the range of the gas cooking market. 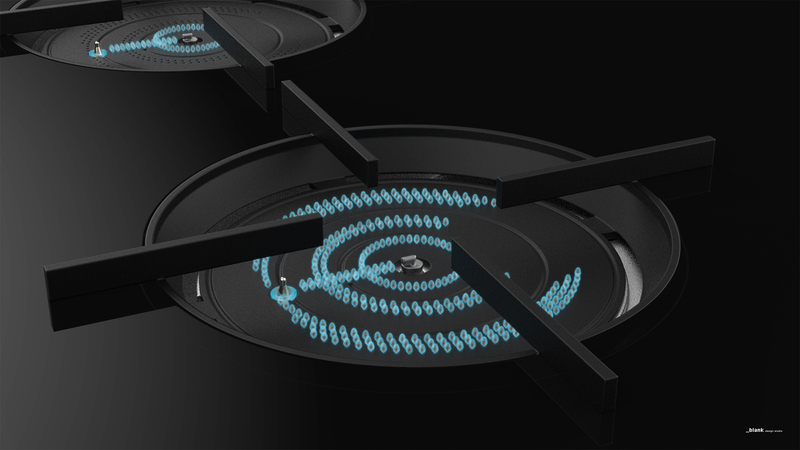 Find out the deluxe "bed of flames"
Whether it is a moka or a wok pot, just a single burner: maximum variability of diameter in the same gas cooker, with better flame range starting from 400 W.